The Mayor of London has pledged £50,000 to the Film London Equal Access Network, while film and TV partners will provide support such as 'returnships' and masterclasses. Mayor of London Sadiq Khan has teamed up with film and TV companies including ITV, Sony Pictures, HBO, StudioCanal and Film4 to promote greater diversity in the UK film industry. 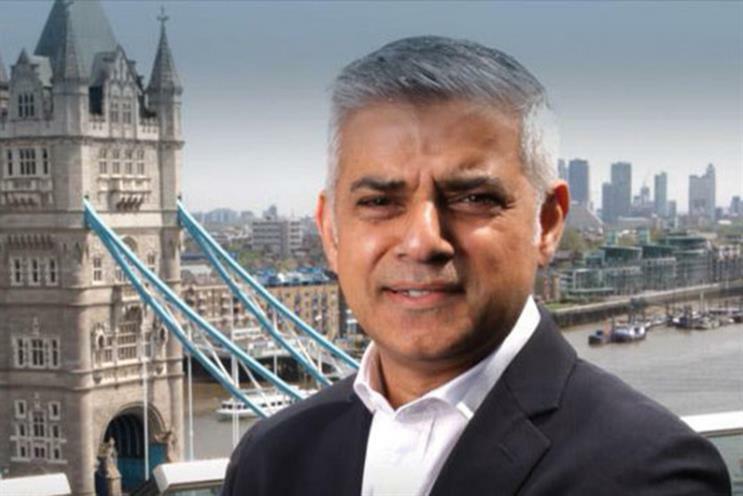 Khan has pledged £50,000 to the recently launched Film London Equal Access Network, an initiative that helps more Londoners from under-represented backgrounds secure paid jobs in film and TV and encourages employers to have a more diverse workforce. The aim of the pledge is to help Film London Equal Access Network build its membership base to 300 members and get 180 people into paid work in the next year. The initiative is being backed by an array of TV and film production partners. The list also includes Working Title, The Ink Factory and Pathé. All the partners will offer support from a number of areas, including paid internships, "returnships" for those who might have left the industry to have children, mentors, masterclasses and networking events. Khan announced the initiative ahead of the Mayor's Gala at the BFI London Film Festival this weekend (20 October). Figures published by the BFI show that only 3% of production personnel working in the UK film and TV industries are from ethnic minorities, while just 20% are women and 5% are disabled. The Film London Equal Access Network was formed in January 2018 to offer career support and advice to new starters, mid-level staff and people returning to the industry. It has provided training and opportunities to 250 people, with its network comprising 159 female and 163 black and minority-ethnic members. Khan said: "From the actors and presenters we see on screen, to the directors, producers and script writers behind the scenes, it is vital that our film industry reflects our city. "Londoners from all backgrounds should be able to see themselves and their stories on screen. By supporting the Film London Equal Access Network, we can encourage employers to improve recruitment processes and ensure all Londoners have access to the career opportunities the growing film industry provides."